Kenner's line of Star Wars figures from the 70's and 80's may not resemble the people they're supposed to, but at least they resemble somebody. This obscure general from Return of the Jedi looks creepily like music's silver-haired should crooner. 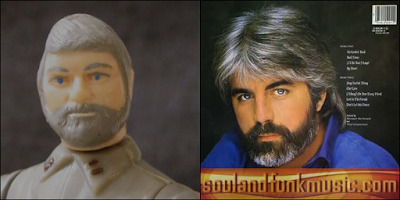 The ex-Doobie Brother is probably best known for composing the hit song, "General Solo, Is Your Strike Team Assembled?" IMPERIAL COMMANDER = EDWARD NORTON. 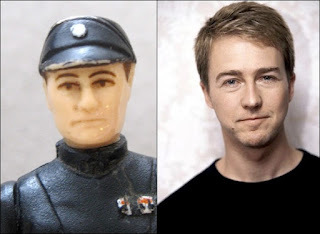 Ed Norton's spirit must have crept its way into Kenner's mold for the Imperial Commander figure. And we all remember that classic scene from Star Wars where he curb-stomps a Stormtrooper (or was that American History X?). BESPIN SECURITY GUARD = CHARLES BRONSON. Evidently Kenner hired a huge Death Wish fan, because some worker decided to fashion a completely negligible character after this action movie icon. It's a good thing this security guard wasn't in the room when they tried to freeze Han, because all hell would've broken loose. 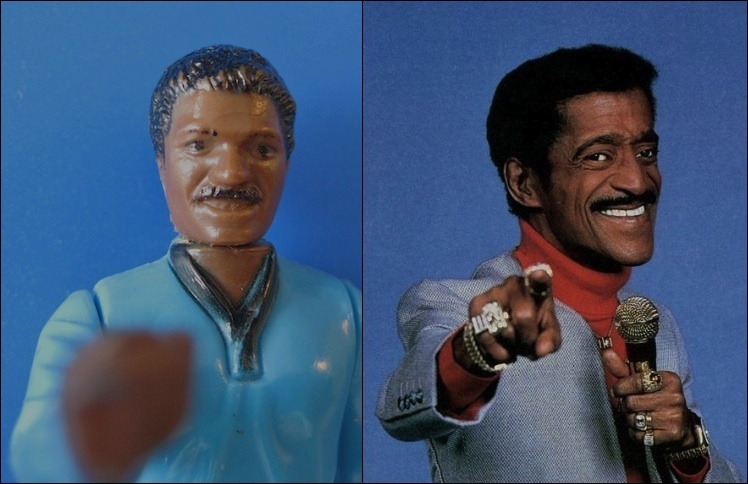 LANDO CALRISSIAN = SAMMY DAVIS JR. Considering his charisma and charm, it's only fitting that Lando should resemble this classy Rat-Pack member. Watch the deleted scenes in The Empire Strikes Back for Lando's rendition of "Mr. Bojangles" at the Cloud City Concert Hall. This ill-fated bounty hunter from the original film looks amazingly like Hollywood's favorite 300-year-old comedienne. 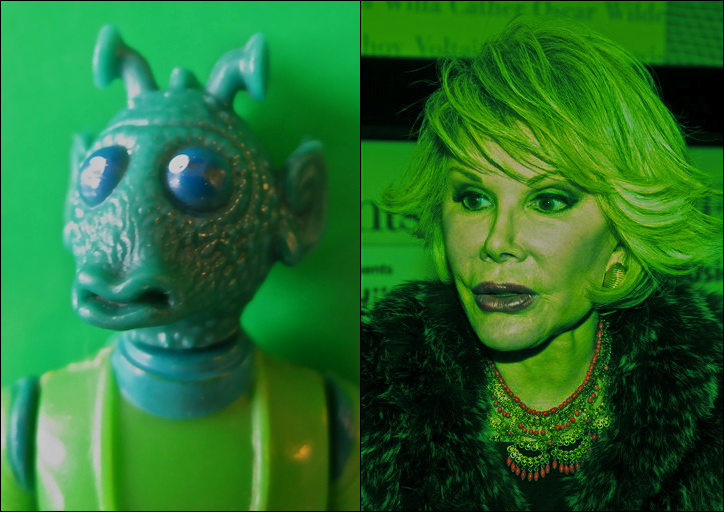 And her red carpet coverage of the Mos Eisley Film Festival was hilarious. Thank you!!! I kept wondering why my General Madine figure kept singing "What A Fool Believes" anytime I mentioned that Ewoks would save the day. Haha, that one is perfect! A one-man action figure boutique specializing in limited runs of handmade horror/cult collectibles. 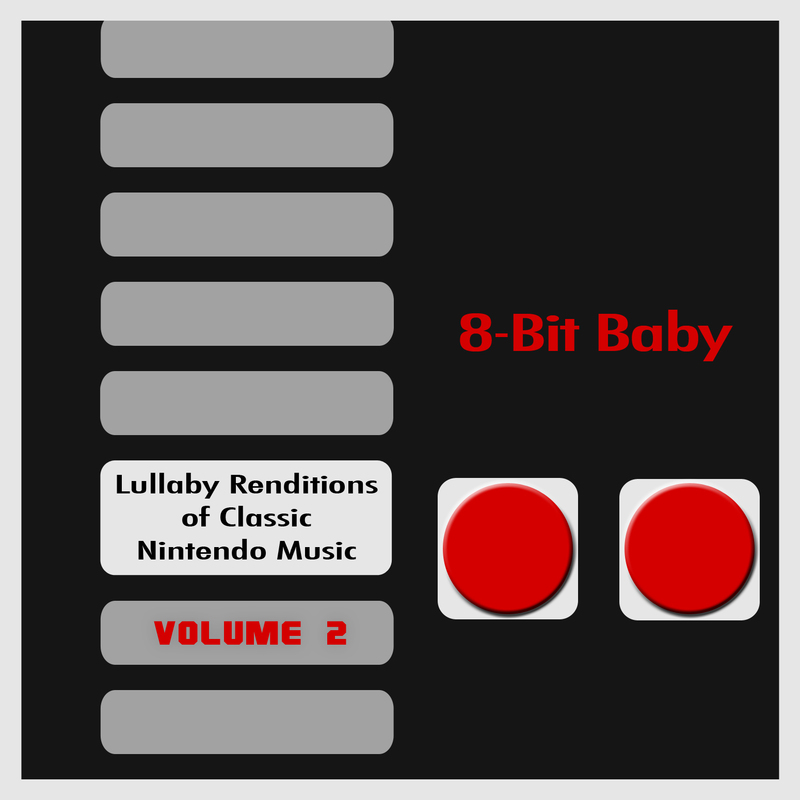 Warning: May contain lethal levels of nostalgia. Introducing The Fog: The Action Figure!